The economic policies determine the business environment. 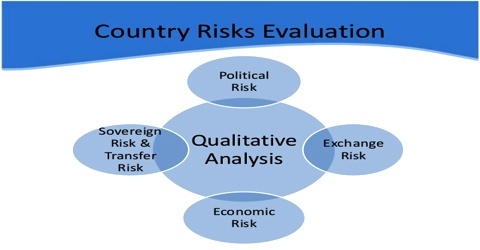 However, country risk assessment cannot be only economic in nature. It is also important to consider the political factors that lead to economic policies. This interaction of politics and economics is the subject area of political economy. This lecture briefly describe on Country Risk Analysis. Country risk is a collection of risks associated with investing in a foreign country. These risks include political risk, exchange rate risk, economic risk etc., which is the risk of capital being locked up or frozen by government action.